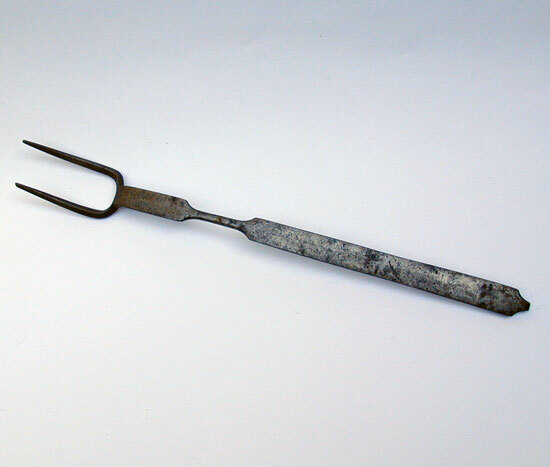 This hand wrought fork dates from the mid nineteenth century and is from Lancaster, Co. PA. There were numerous of blacksmith in this area of the country turning out "sets" of hearth iron. Some makers decorated their wares others produced very plain yet useful product. 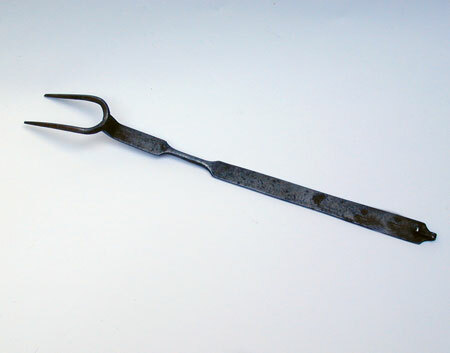 This plain fork is in fine condition and measures 17 1/2" long. 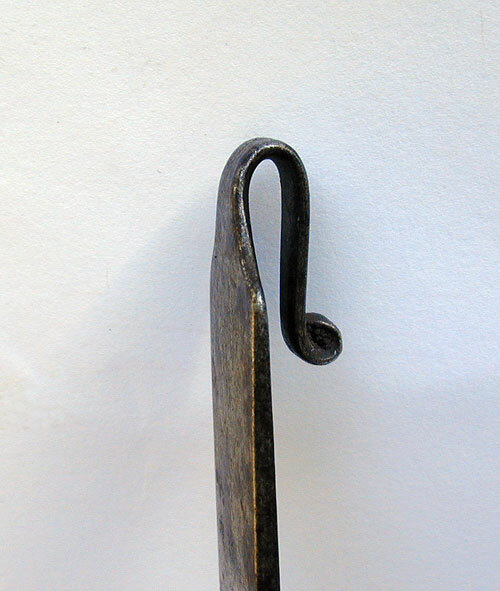 It has a very nice "rat-tail" hanger on the end.